GH's Ryan Carnes Shows Off His Hot New Look! Ryan Carnes is nothing but handsome and breathtaking in his latest picture. It has been quite a while since we've seen him on 'General Hospital' as Lucas Jones and its no doubt that we miss him dearly. But in his latest Instagram post after spending time at the gym, we got our dose of the adorable abs and muscles as he showed off his buffer.s body an adorable sight but so was his new hair color that's he sporting and we bet you're going to love it - check it out below! 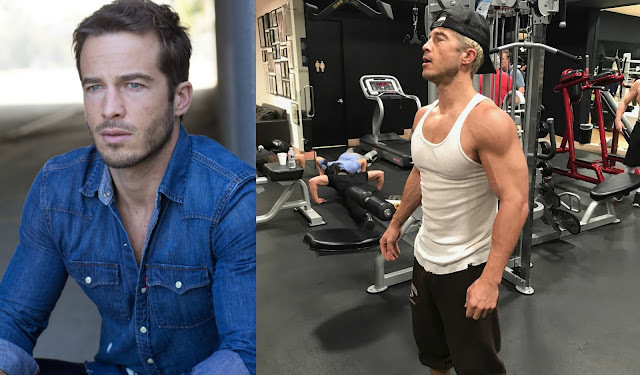 Soap Opera News: GH's Ryan Carnes Shows Off His Hot New Look!